I've tried so many lip balms in my life. I have terrible dry lips and for someone who loves lipsticks that's bad news! Alot of the times the lip balms that I've tried just sit on top and aren't absorbed in. So, finding a lip balm is hard work. 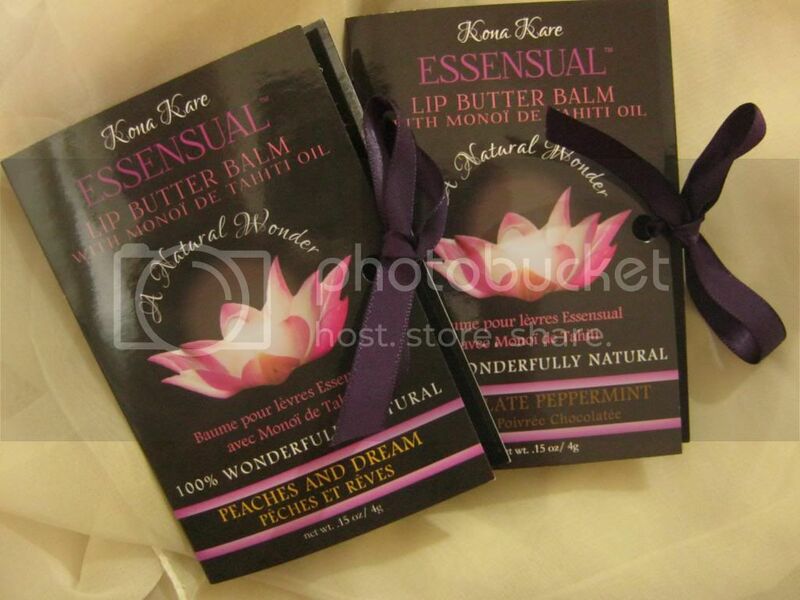 One of the best ones that actually worked for me was my EOS lip balm but I am going to review some lip butter lip balms by Kona Kare* which is a business situated in Canada, that are honestly alot better than the EOS lip balms. These are not boring old lip balms but lip butter balms! These lip butter balms come in different flavours: Original, French vanilla, peaches and dream and chocolate peppermint and are made with natural ingredients. I was very kindly sent peaches and dream which smells just like peaches and is very sweet, fruity but light. I also have chocolate peppermint which when I first used I immediately thought of After Eight chocolates which are peppermint chocolates. Chocolate peppermint smells amazing and is my favourite. If you love After Eight, you'll love this! My lips are so dry in this weather and before these lip balms I tried everything but nothing was working. I am not exaggerating here but in about a day and half of using these my lips felt so smooth! I've never used something that's worked this fast and what I like about these is that it sinks into your lips which means its working. It could be because these are lip butter balms that they work alot better then your normal lip balms. There's a lot of product in the tube as well so it'll last you long. These glide on in just one swipe and are so moisturising and nourishing. I really enjoy using these because of the flavour, the fragrance and the buttery feel to it! I wear this under my lipsticks and that prevents that cakey look sometimes matte lipsticks do. I also love the packaging. Its very sleek and I love the information on the packs they come in such as what Monoї Tiaré Oil is which an oil from Tahiti and has 10% of it blended in the lip butter balms. Plus a cute little ribbon too! These are a staple for me now and I can't recommend them enough. And like I said, I personally find them better then the EOS lip balms. 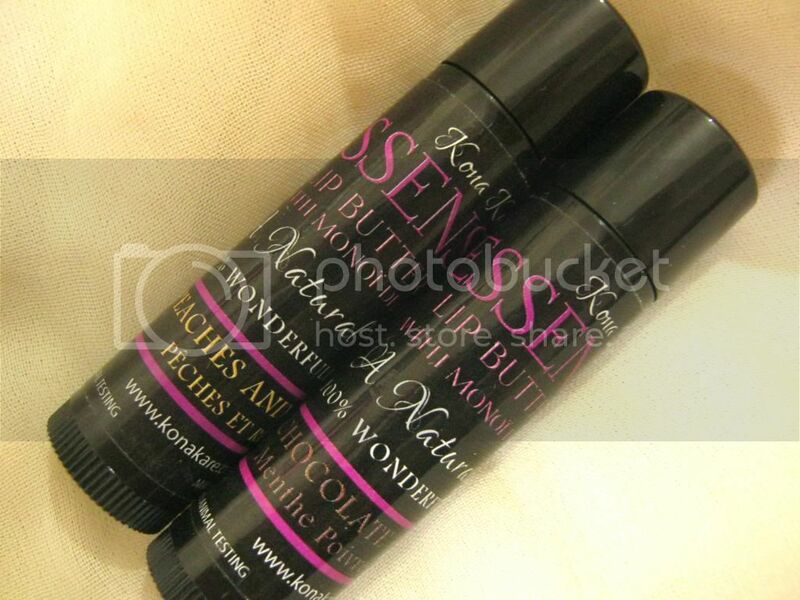 ooh they sound yummy, my lips always get dry too, these look handy to pop in your bag etc, a little pricey though! The french vanilla one sounds yummy! Definitely will be checking these out. These sound nice, but I'm not sure I'd pay that much for a lip balm! Good to know that you can layer it under mattes! I hate when mattes get cakey. They look so yummy! I love how they're packed!